The Riverhead Kennel Club is hosting its 80th and 81st all-breed dog show & obedience trials Friday and Saturday at the Suffolk County Community College Eastern Campus in Northampton. The show is dedicated to Blanche Y. Schoning, founder of Schoshire Kennels in Aquebogue. She acquired and began breeding miniature wire-haired dachsunds in 1964 and the kennel has produced over 100 champions since its inception. Ms. Schoning passed away in August 2010. The kennel is now owned and run by David Borders and Dwayne Early. 411 dogs participated in Friday’s show, with 84 breeds entered. 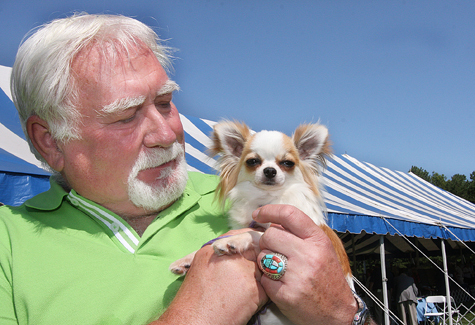 For Saturday’s show, there are 456 dogs entered of 93 breeds.